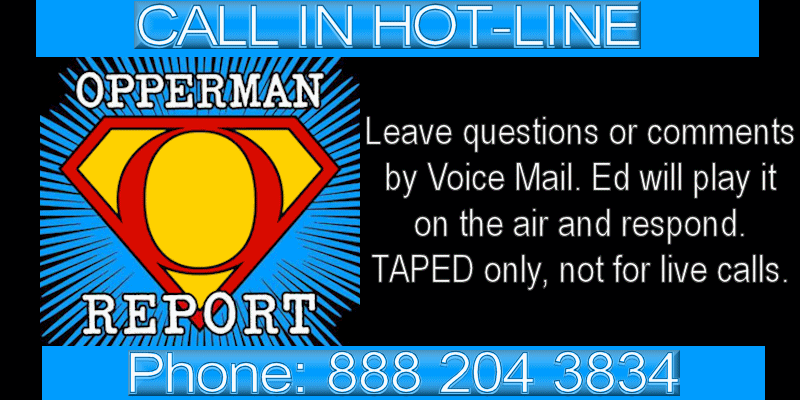 THE OPPERMAN REPORT BRINGS YOU 7 HOURS OF RADIO SHOWS EVERY WEEK! The Opperman Report - Friday and Saturday LIVE !!! 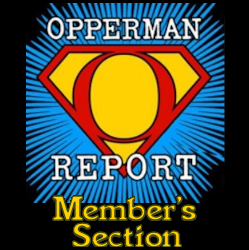 The Opperman Report Aftershow immediately following Fridays main show. Interested in finding more great talk radio? Visit AWAKE RADIO.us - Internet Talk Radio Network: Featuring many more top class Shows and Hosts. 7 hours of radio a week - Monday, Friday and Saturday! You can tune in to THE OPPERMAN REPORT LIVE at 5pm PST every Friday for 3 hours, 2 hours Saturday and 2 hours air on American Freedom Radio every Monday from 12pm PST. Visit the AMERICAN FREEDOM RADIO website where you can join the chat room during the show and find more great talk radio. Visit the SPECIAL ARCHIVE to choose from 200+ Exclusive Shows you can buy, download and help support the show ... or even better - Become a Member today and gain full access to even more content in the MEMBER'S SECTION.